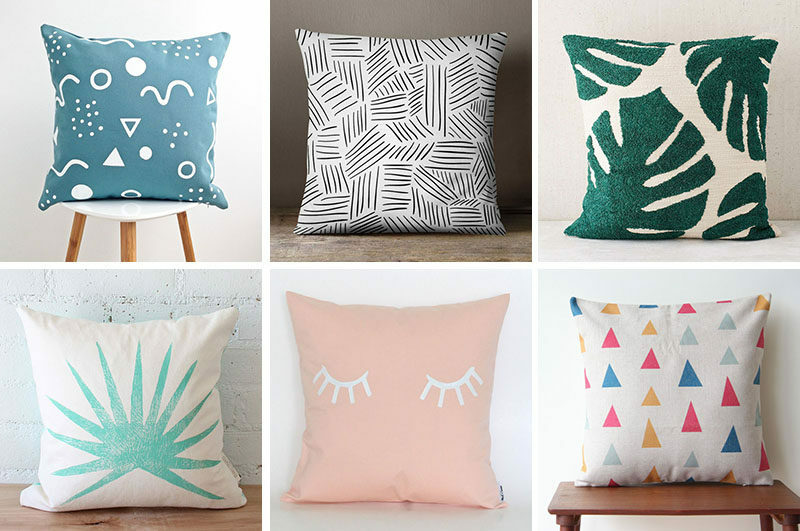 Throw pillows are an easy way to cozy up a space. 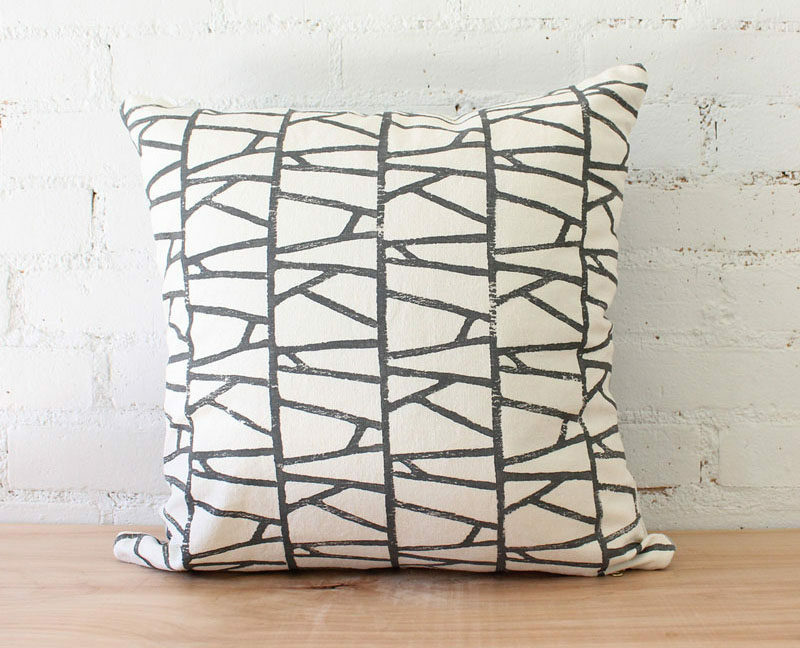 They add warmth, texture, and personality to a space and require very little effort to style. 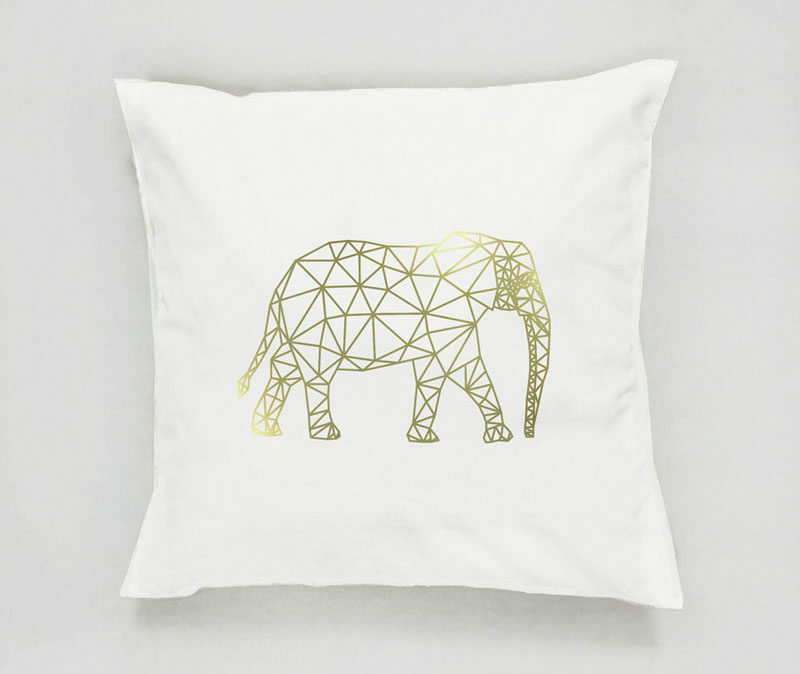 They come in endless color options, lots of sizes, and can be made from all sorts of different materials. 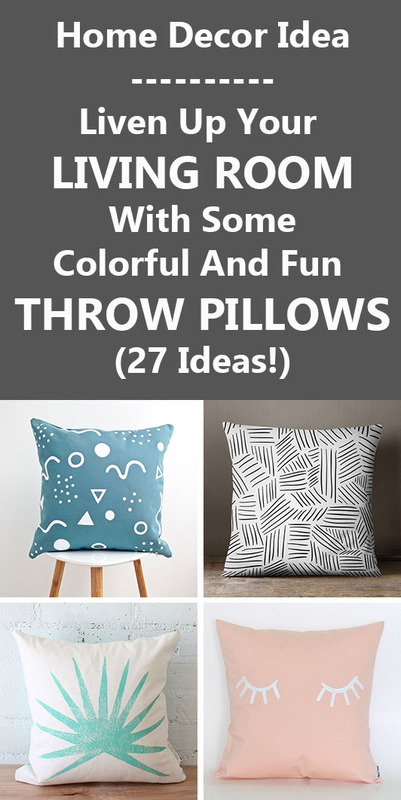 Here are 27 examples of modern throw pillows broken down into in various styles that you can add to your interior to create a cozy and inviting space. 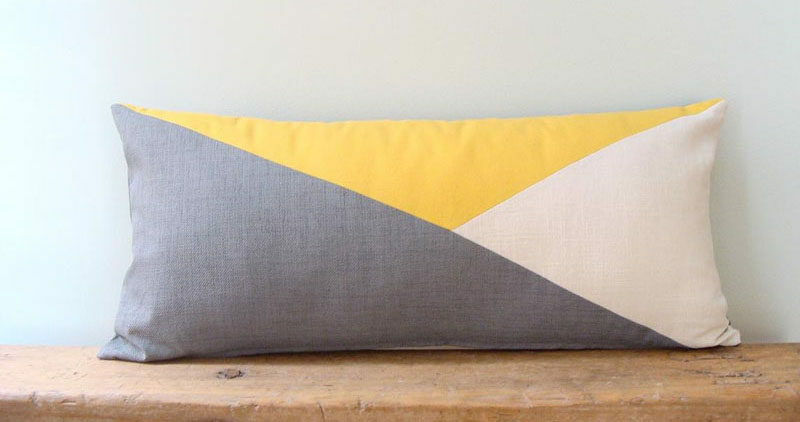 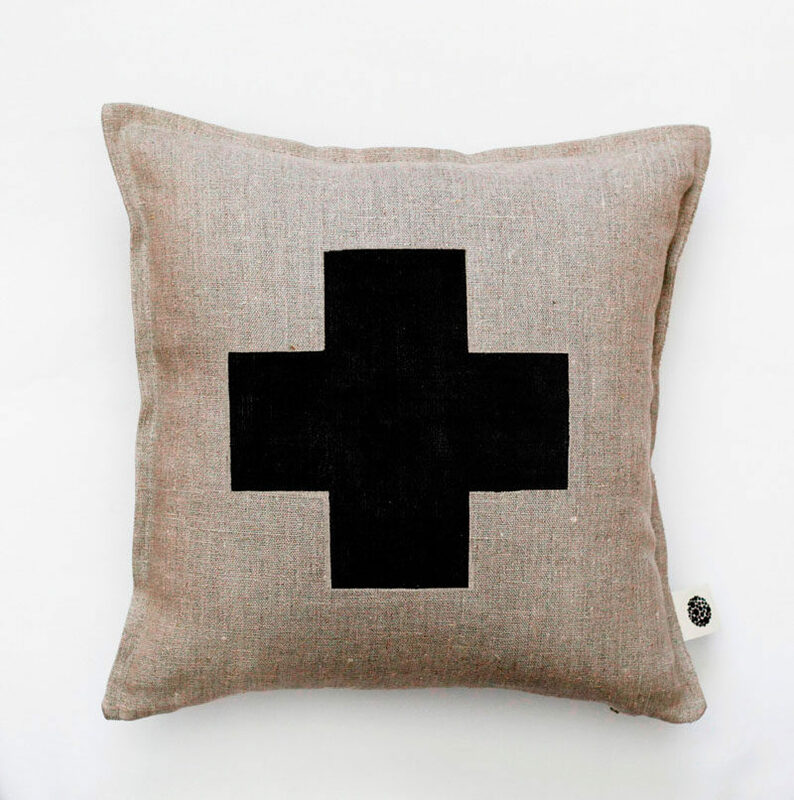 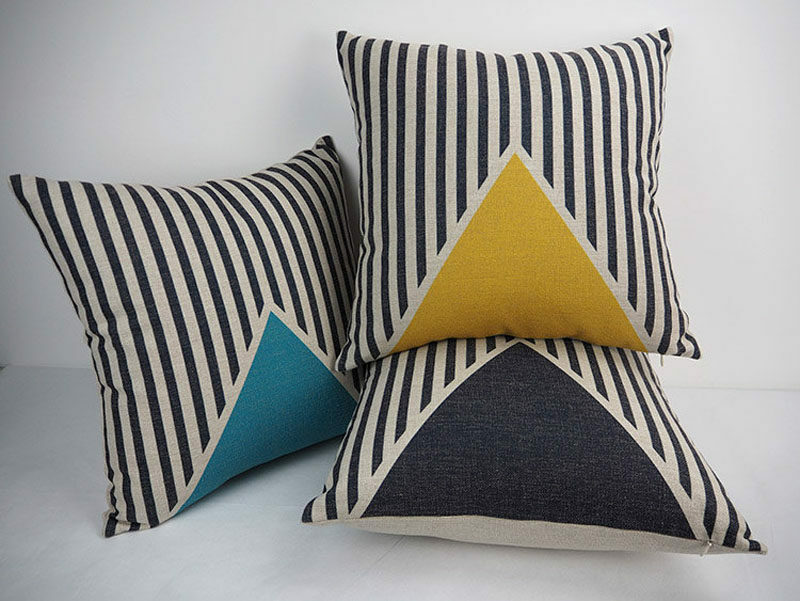 Geometric throw pillows are a great way to bring in multiple colors to your interior without them feeling overwhelming. 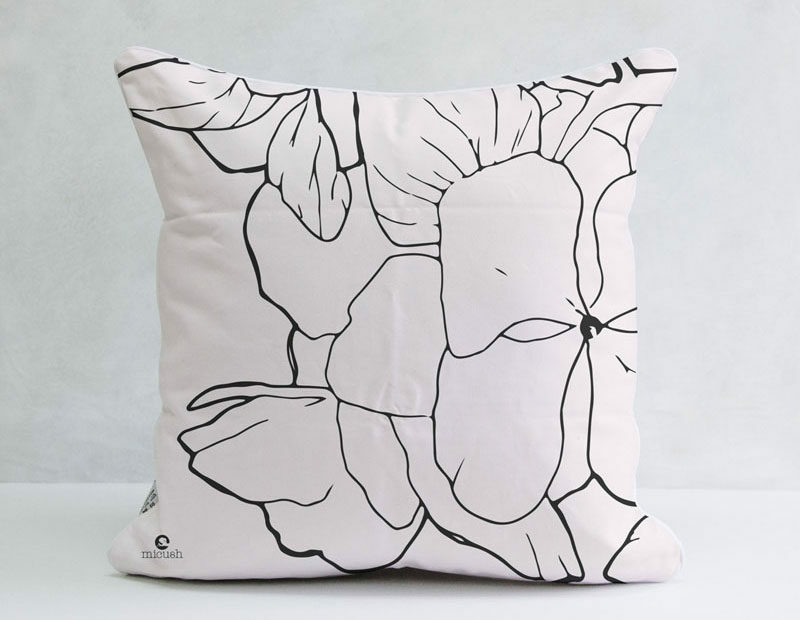 They can tie together the various colors you have in your interior and soften up any harshness or coldness created by other materials in the room. 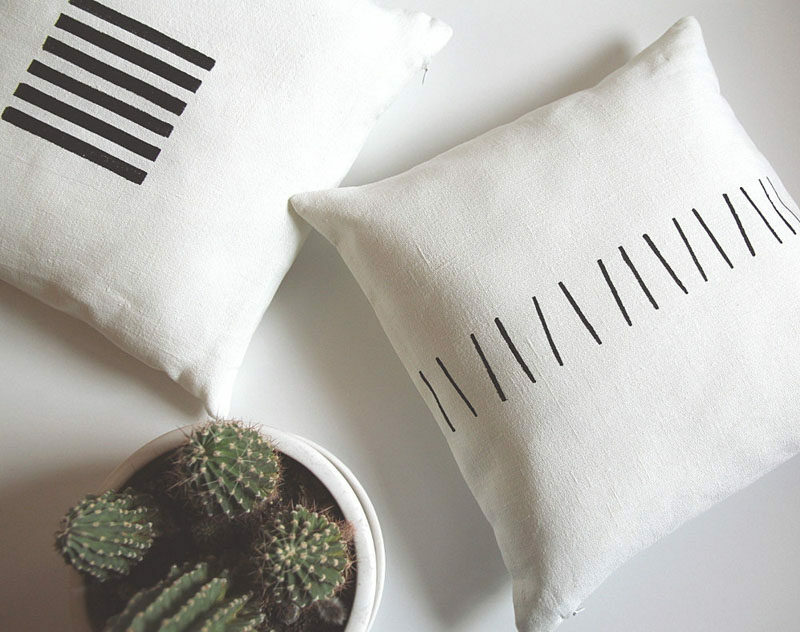 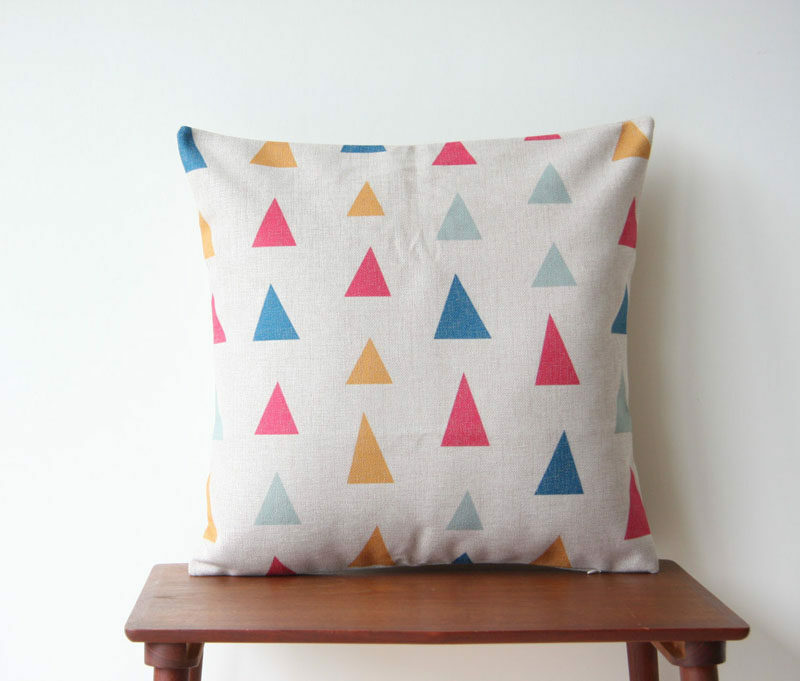 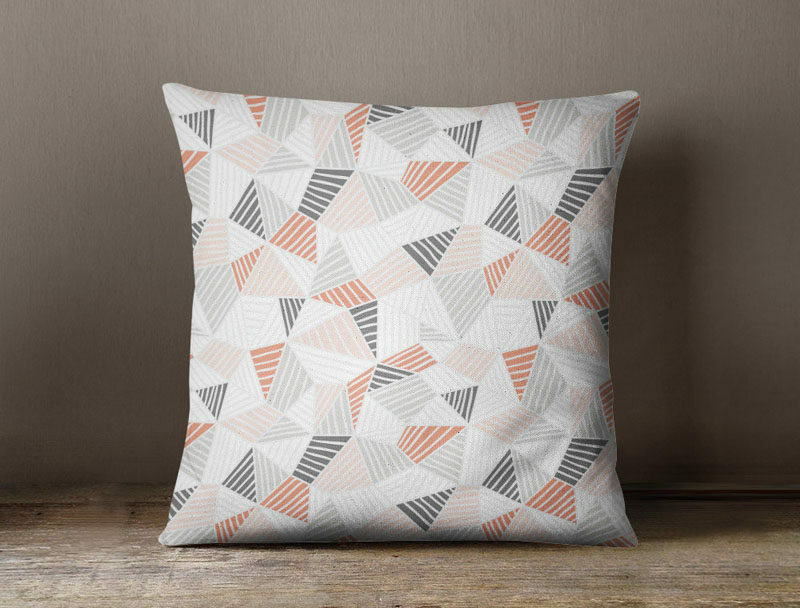 Decorative geometric pillows by Home Decor Yi. 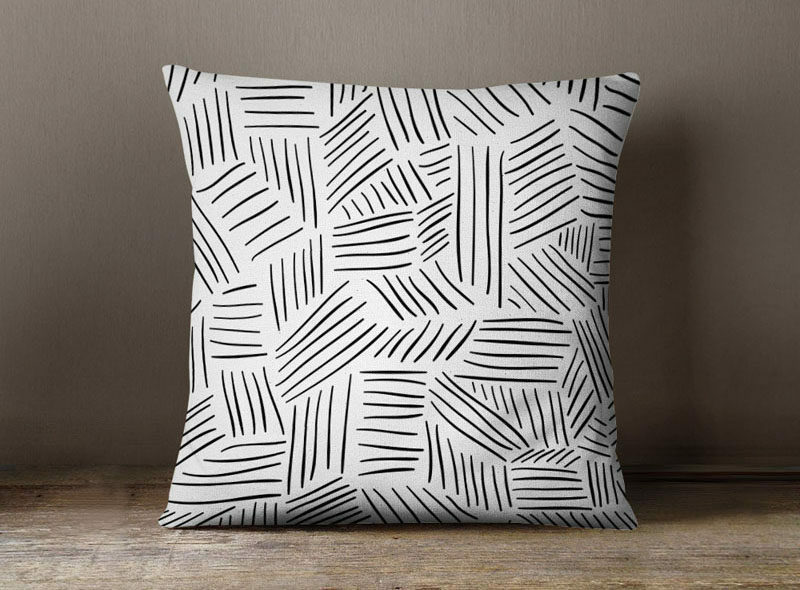 Graphic throw pillows often have patterns or shapes on them and make a statement both on their own and with the help of other pillows piled around them. 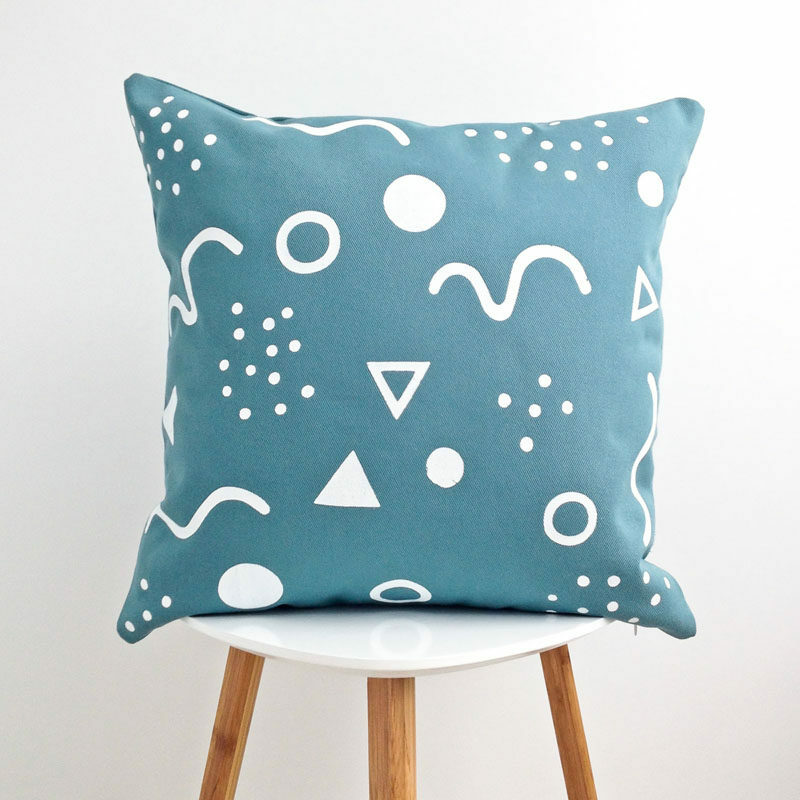 Turquoise Pillow Cover by La Peteite Boite Co.
Modern triangle pillow Case by grida studio. 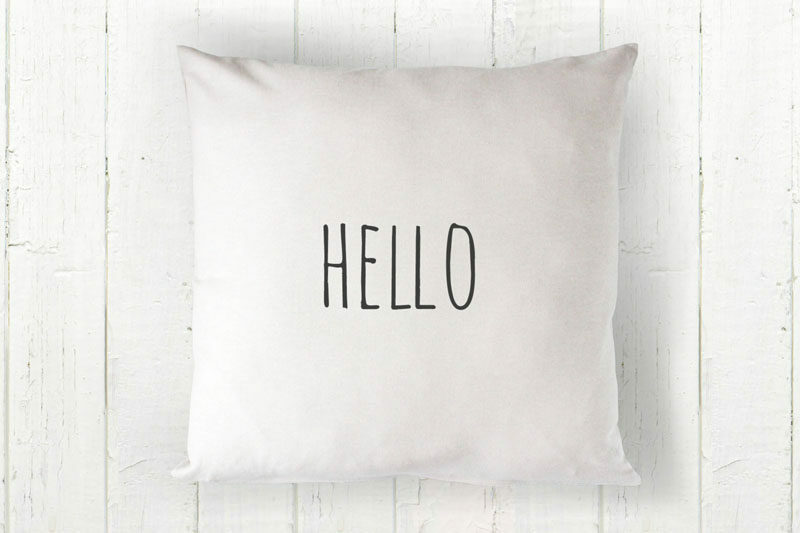 For all the text lovers out there, surround yourself with your favorite fonts, symbols, and words in the form of a cozy pillow. 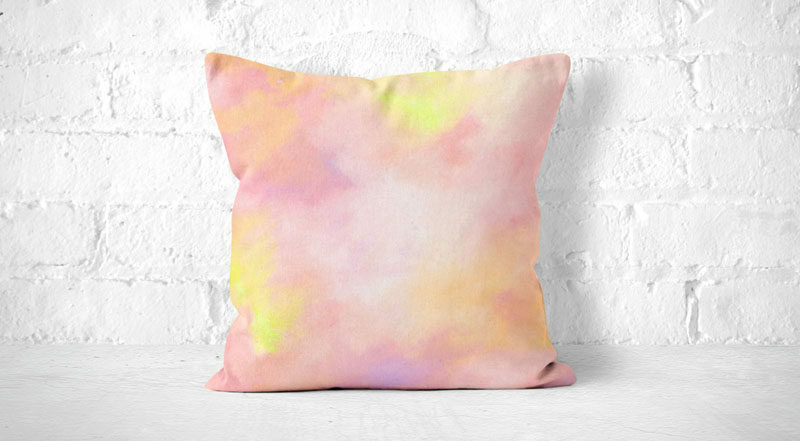 Not only will it soften up your interior but it will make for the perfect snuggle companion while you’re curled up reading or writing. 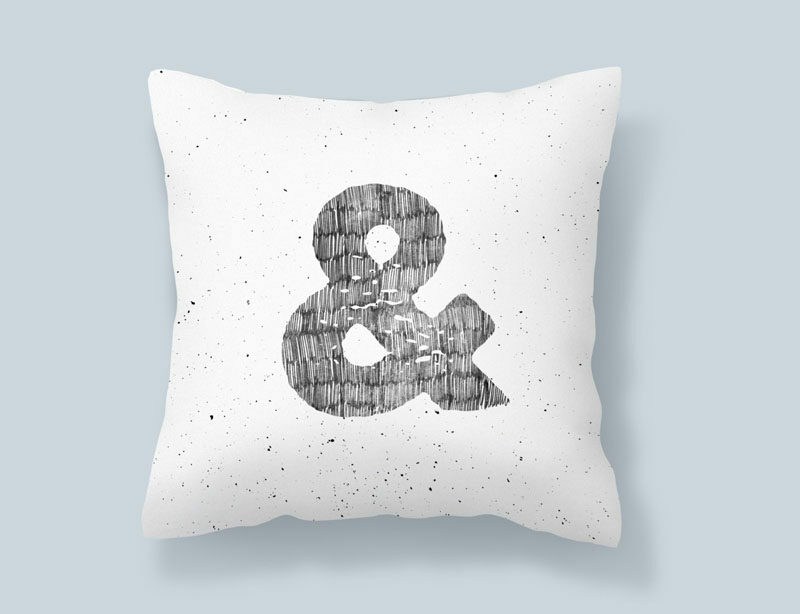 Ampersand pillow by Lost Prints Co. 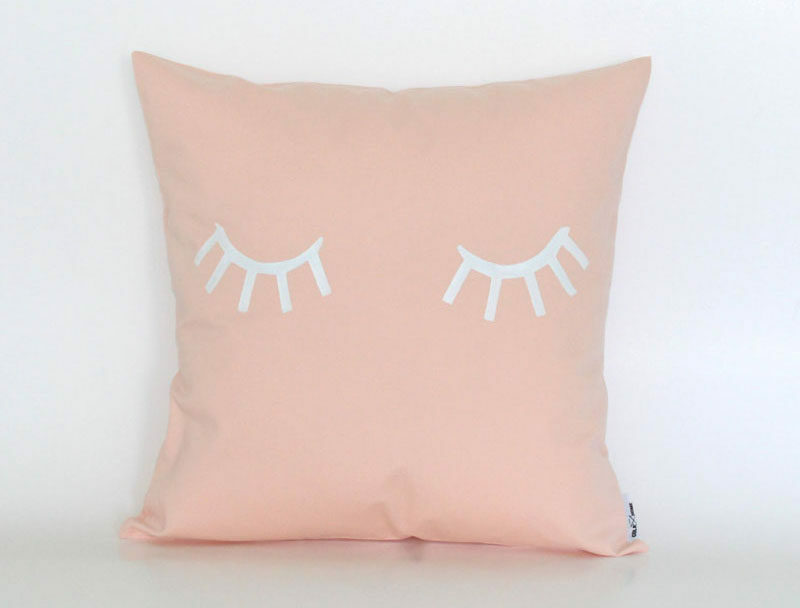 Adding fun pillows to a kids room brings color, softness, and personality into their space and helps create a cozy place for them to drift off to sleep in. 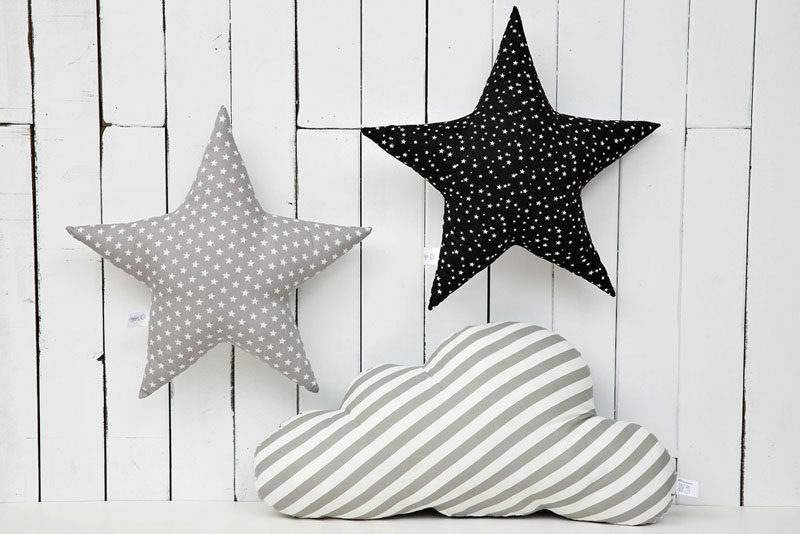 Cloud, Moon And Star Pillows by Prosto Concept. 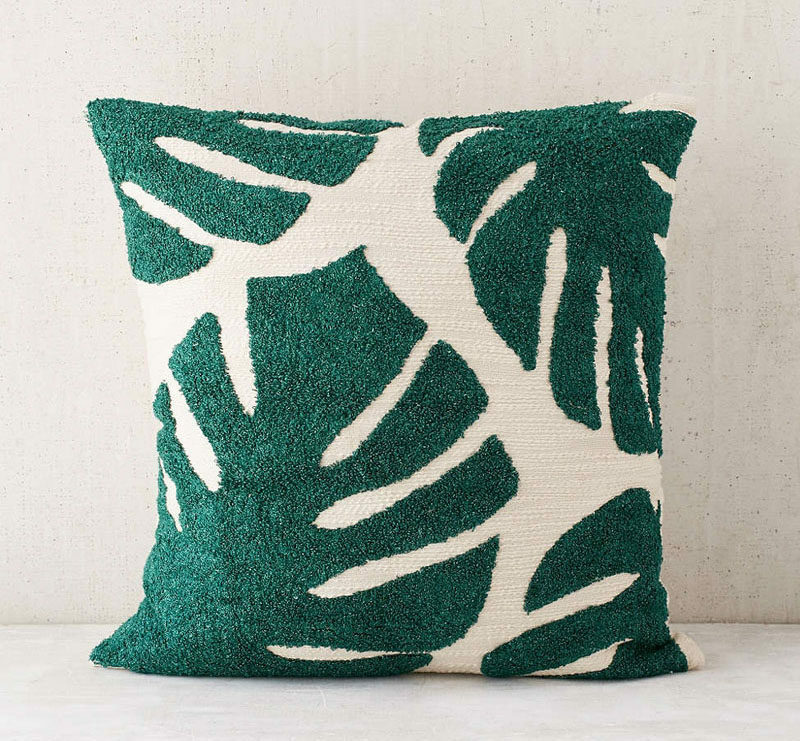 Botanical throw pillows are the perfect pillows to have out all year long. 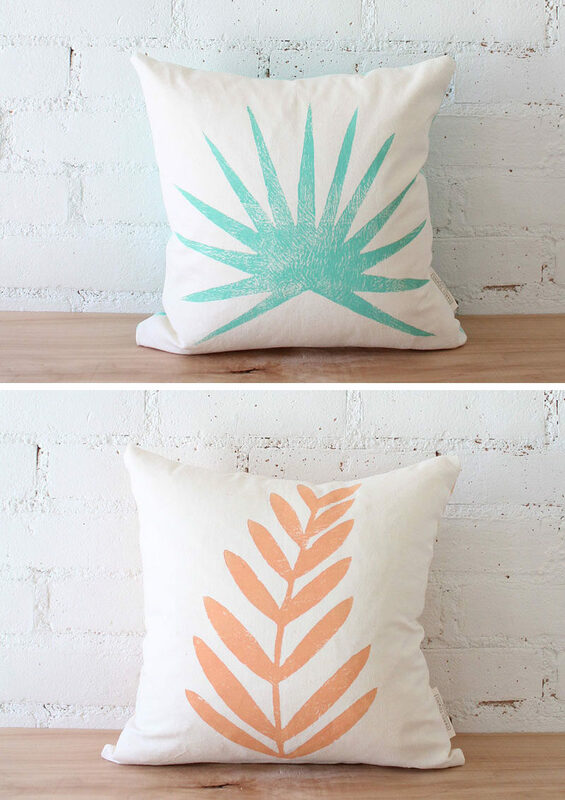 In the summer they’re a fun way to compliment the season and in the fall and winter months they act as a cozy reminder of what’s to come. 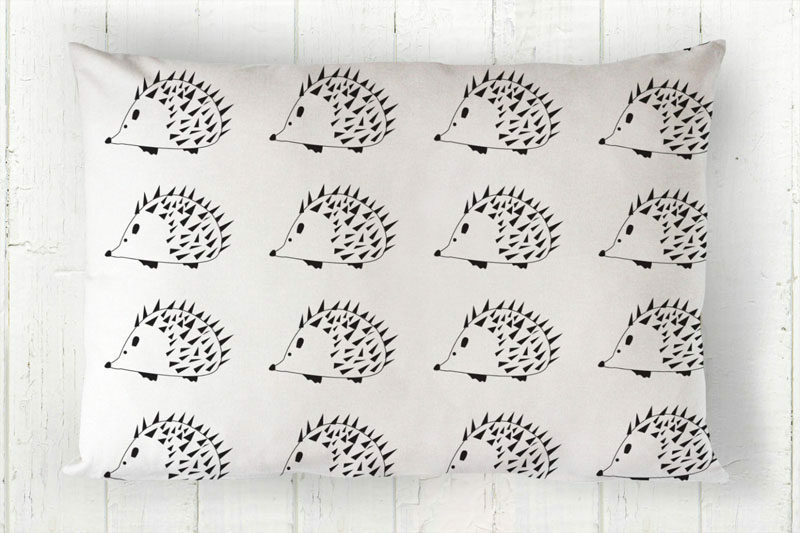 Whatever your favourite animal is, you’re sure to be able to find it on a pillow. 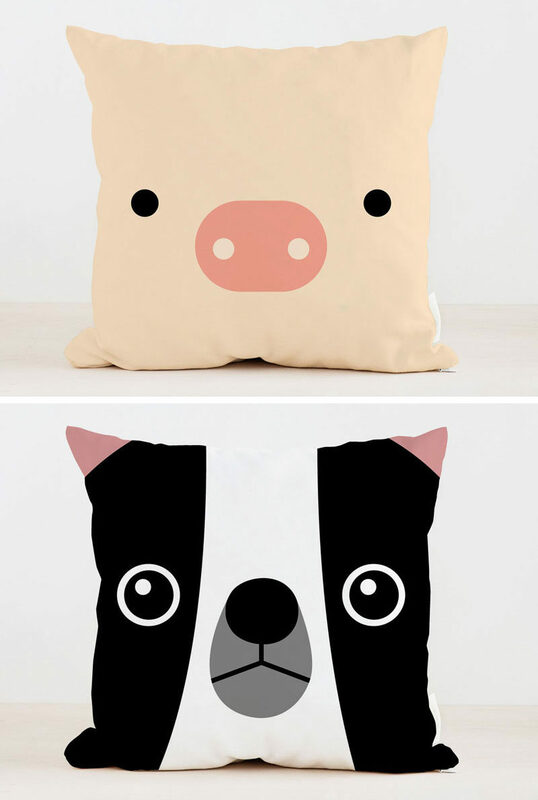 Whether it’s a face, a full body, realistic, or cartoon, animal pillows are a great way to surround yourself with wildlife that doesn’t require any care. 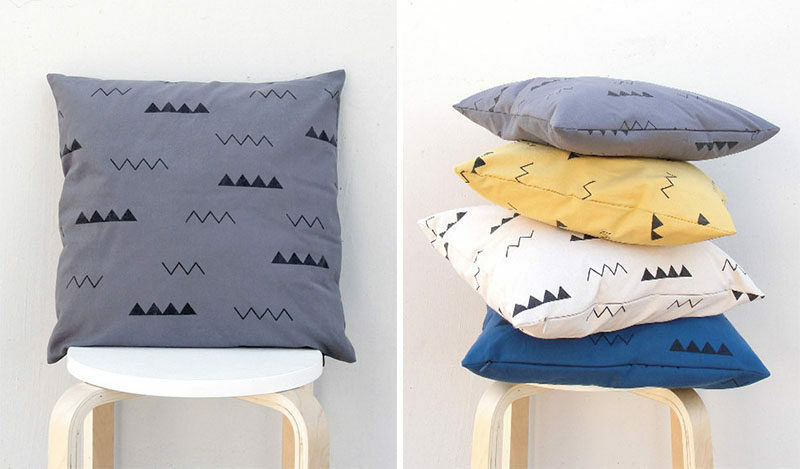 Animal kids pillows by Frankie Print Co. 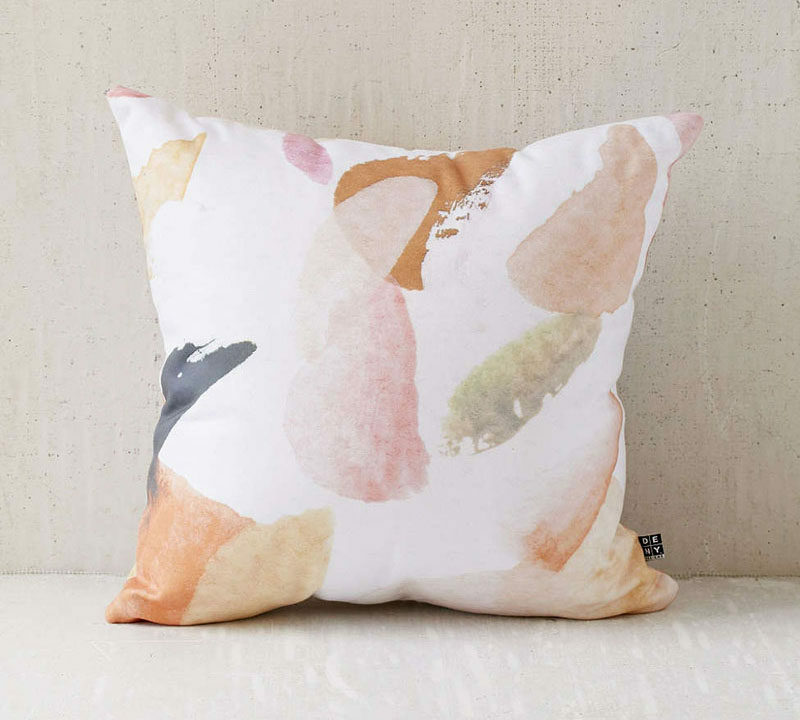 Artistic pillows add a more abstract and subtle touch of color to your interior but still soften and cozy up your space. 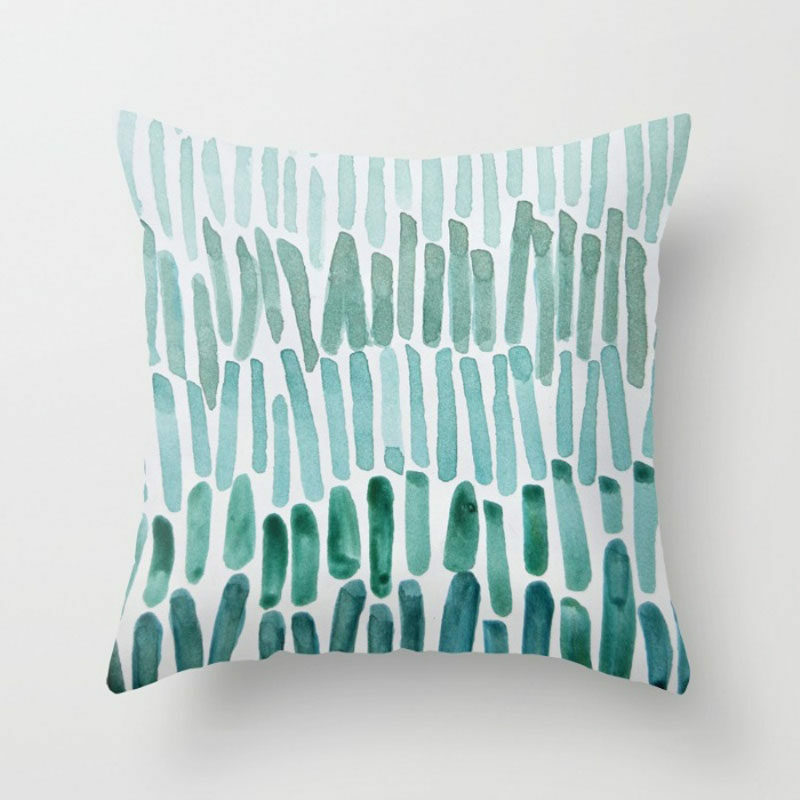 Watercolour pillow by Frankie Print Co.
Chunky knit pillows add texture and warmth to your interior like no other pillows can. 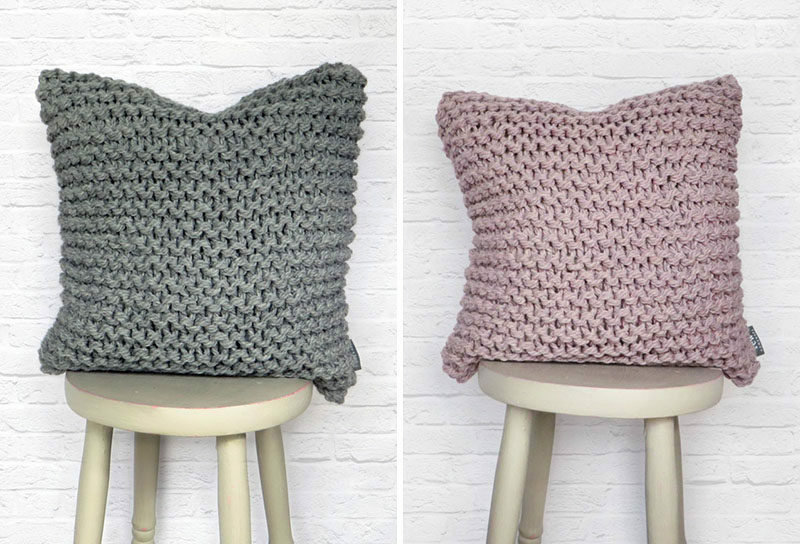 They come in a wide range of colors and, depending on the stitches used to make them, can range from pillows with simple ridges to complicated pillows with cables and ribbing. 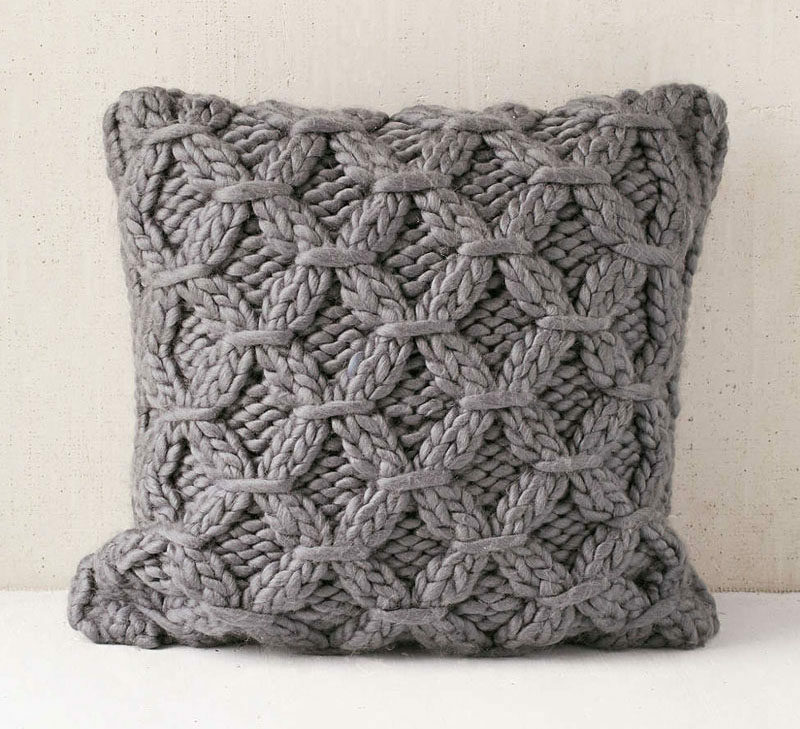 Cable knit pillow from Urban Outfitters.